The Supreme Court has just released a press release stating that Jonathan Sumption QC will be sworn-in as a Supreme Court Justice tomorrow. Sumption will be the third Justice to be sworn-in since the Supreme Court was inaugurated in October 2009. His appointment follows the retirement of Lord Collins last year. 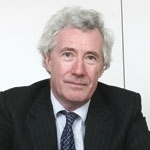 Following the ceremony, Mr Sumption will be styled Lord Sumption, and will begin sitting on Thursday 12 January, among a panel of five Justices hearing the shipping dispute case of Petroleo Brasileiro S.A. v E.N.E. Kos 1 Limited. Lord Reed, whose appointment was announced on 20 December 2011, will be sworn-in as a Justice on 6 February 2012. Leave a reply on "Sumption to be sworn in as Supreme Court Justice"